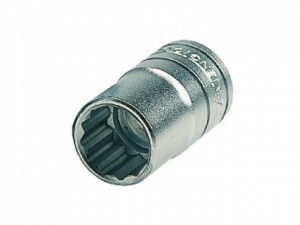 The TENM340522 Hex 3/4 inch drive socket has the following specifications:Size: 22mm. Length: 50mm. 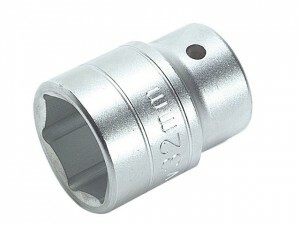 The TENM340521 Hex 3/4 inch drive socket has the following specifications:Size: 21mm. Length: 50mm. The TENM340519 Hex 3/4 inch drive socket has the following specifications:Size: 19mm. Length: 50mm. The TENM340164 bi-hexagon 3/4 inch drive socket has the following specifications:AF Size: 2 inch. Length: 71mm. The TENM340160 3/4 inch drive socket has the following specifications:AF Size: 1.7/8 inch. Length: 69mm. The TENM340158 bi-hexagon 3/4 inch drive socket has the following specifications:AF Size: 1.13/16 inch. Length: 67mm. The TENM340156 bi-hexagon 3/4 inch drive socket has the following specifications:AF Size: 1.3/4 inch. Length: 65mm. The TENM340152 bi-hexagon 3/4 inch drive socket has the following specifications:AF Size: 1.5/8 inch. Length: 63mm. The TENM340148 bi-hexagon 3/4 inch drive socket has the following specifications:AF Size: 1.1/2inch.Length: 60mm. 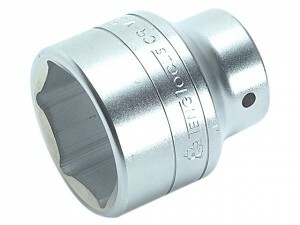 The TENM340524 Hex 3/4 inch drive socket has the following specifications:Size: 24mm. Length: 51mm. The TENM340526 Hex 3/4 inch drive socket has the following specifications:Size: 26mm.Length: 52mm.